It is best to sleep on your side or on your back. Sleeping on the tummy is to be avoided as it can cause neck and back pain. If you like to sleep on your side, a deep pillow with good support is recommended. Or you can choose two slim pillows, the top one being feather if you not allergic to it. If you are pulling your pillow into your neck or putting your hand underneath your pillow, you are looking for more support and maybe best to add another pillow if you are just using one. If you sleep on your back, one pillow is preferable but many medical conditions demand that we use two if not three pillows. A good night’s sleep can easily be disrupted by a painful neck. The correct pillows can relieve this pain and it is always good to change your pillows regularly as the weight of our head flattens them, leaving you without that support you are needing. Treat yourself to new pillows, it will prevent that stiff and achy feeling the following morning. Good upright posture is very important in preventing pain and tightness in muscles and joints. Poor posture over several years while doing the same repetitive work causes discomfort which gradually becomes pain and stiffness in the neck, shoulders and back. If your head sits more forward than recommended, retraining is needed to change the head position and bring it in alignment with the rest of the body. 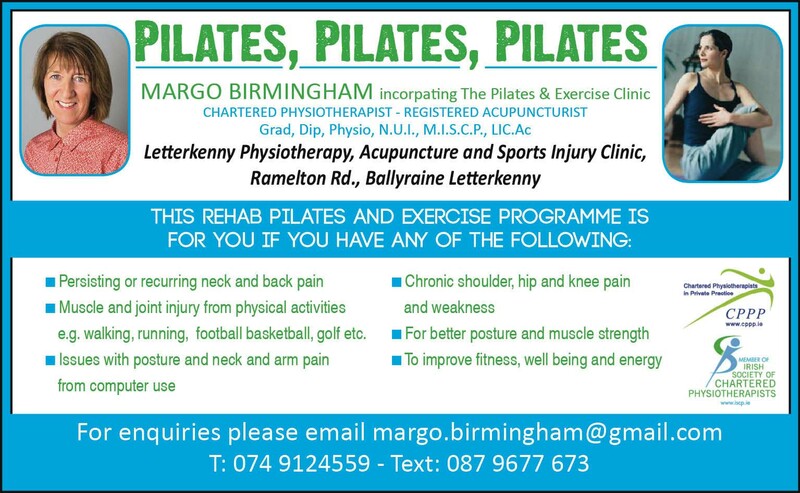 This retraining can involve many aspects of Physiotherapy – examination, stretching and strengthening exercises. Increased stress may lead to increased muscle tension and postural abnormalities. I choose to teach a Pilates programme that is safe and suitable for all ages. 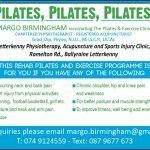 The programme has been modified from the traditional Pilates and is very accessible for everyone. The main emphasis is on training lumbo-pelvic stability, i.e. building the strength in the muscles of the lumbar and stomach areas to develop a strong centre. From this strong centre the intensity of each exercise is adjusted by using differing length levers which are various limb movements and resistance, e.g. Theraband or elastic bands. These exercises consist of strength, mobility and stretching performed on a mat. Many injuries are caused by imbalances in the body or habitual patterns of movement known as repetitive strain. The body compensates to try to achieve a functional movement, creating pain and tightness. Pilates corrects these faulty patterns of movement and educates to prevent recurrence. 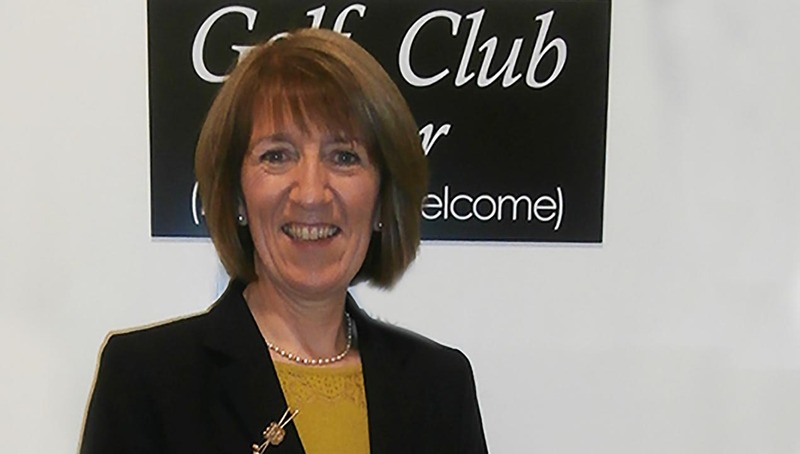 On the 27th Nov 2104, I had the great honour and privilege to become Lady Captain of Letterkenny Golf and Social Club. 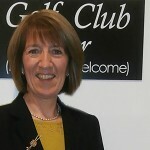 As a Letterkenny native, I am immensely proud to lead the Ladies Club for the 2015 golfing season.and to represent them in Donegal and further afield. 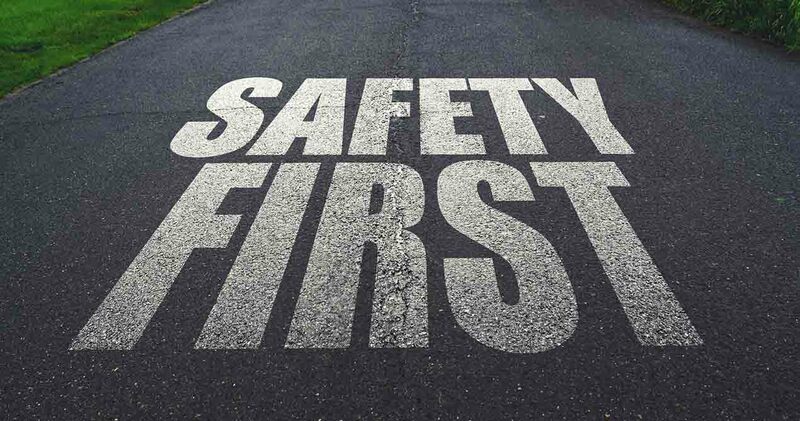 While many RTA injuries can be severe and life threatening and need hospital treatment, those who present for physiotherapy can equally be severe if not managed promptly. 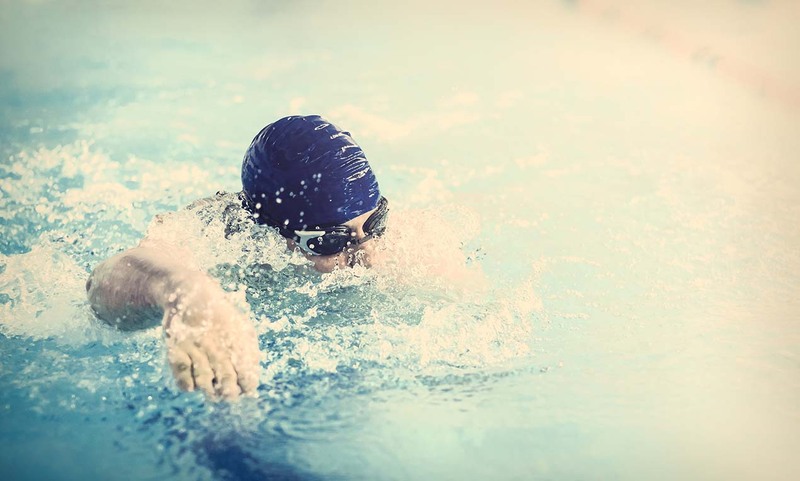 Neck, shoulder and upper, mid and lower back are the main areas injured in the body. There can be acute pain, swelling, burning sensation and loss of function in the joints affected, causing severe distress and disablement for the injured person. Two weeks after the RTA, soft tissue injuries should be assessed and treatment commenced to decrease pain and restore function to the injured areas. Low back pain can be caused by a myriad of factors and not all treatment is the same for all low back pain. 80% of low back pain resolves without any interaction. The other 20% needs assessment and management by physiotherapy advice and ergonomics (i.e. having your work/home area to suit you). A detailed examination is needed and then the appropriate treatment is recommended. Pain relief is good for early management but not as a solution for long-term use. The spine is a mechanical object and good posture, weight control and exercise is the gold standard for long-term recovery.